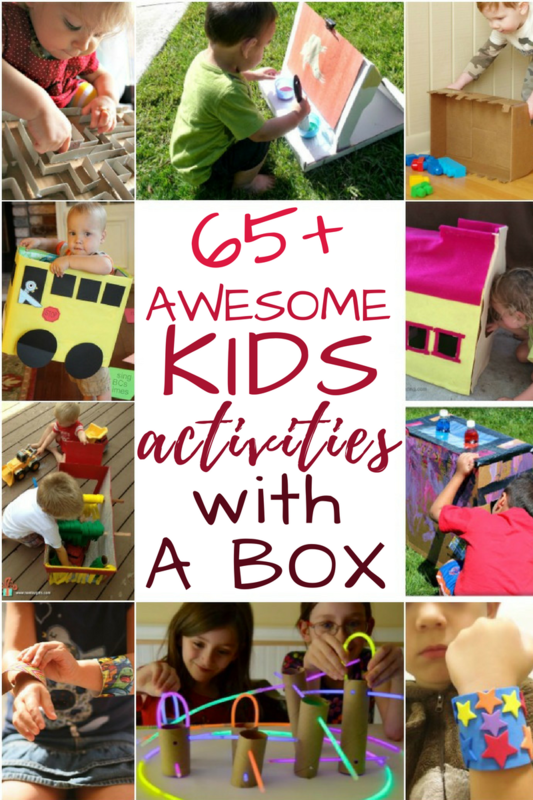 There are over 65 awesome cardboard box activities and crafts are inside this post. I know. Toilet rolls are not technically a box, but I just couldn’t pass up sharing these awesome TP posts with you too. In fact, that’s how this post came together. 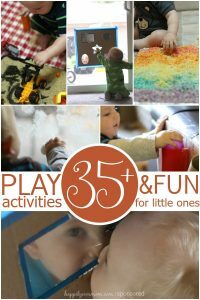 As a busy momma myself, I love sharing fun kids activities here at Happily Ever Mom that you can do RIGHT NOW. Without having to run to the store. You have at least one Amazon Prime box hanging around (or you will in the next 48 hours- HA). And, at least one kid who will happily empty a toilet paper roll for you. Or, is it just my kids who like to decorate the bathroom by unrolling endless amounts of toilet paper? If you’re like me then let’s take those boxes and rolls to put them to AWESOME, fun use. All you have to do is dig through your recycling first (or put your toddler in the bathroom to unroll all the toilet paper for you…) and then come back when you’ve got your supplies in hand. Then, I further subdivided the posts into categories with similar themes like building, painting, etc. Because I like you, I tried to sort out any posts that require paint into the “arts/crafts” category because let’s face it… You don’t *always* have the time or patience to break out the paints. 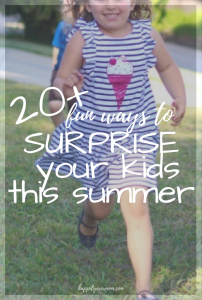 Otherwise, grab your cup of coffee and let’s get started with kids activities. Here are the 4 categories to check out below: building, baby/toddler, indoor, and learning. Make a Cardboard Projector! | Inner Child Fun *Watch the video to see how this works! Magnetic Marble Run | Go Science Girls! DIY Catapult | Go Science Girls! Make a Pulley | Go Science Girls! Here are the 3 categories to check out below: paint activities, cardboard crafts that kids can play with, and fun cardboard box crafts. *Check out both swords. Each one has a different design! Cardboard Mountain for Trains | Play Trains! 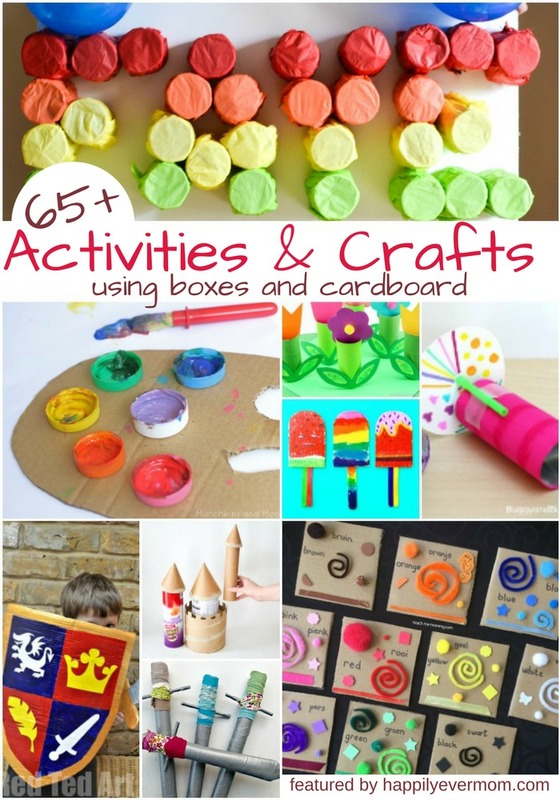 I absolutely love this list of cardboard box activities and crafts because you can do them with your kids right now! In which case, you may need to click over to Amazon Prime. No doubt about it, cardboard boxes are always a hit with kids. In fact, my 10 year old still loves it when we get packages in the mail. Right now we have a huge submarine they constructed sitting in our basement, in which they’ve taken many a pretend trip. Thanks for including our castle and helmet in the line up! You got it – love the castle and helmet idea! My kids would love it.